The fall of Edessa in 1144 stimulated what was known as the Second Crusade, for Edessa was a key city in the defenses of the Crusaders' kingdom. That Crusade was preached by Bernard of Clairvaux, esteemed a model Christian by his own and later generations. It was, however, a failure, for many of its contingents perished before reaching Syria and it broke down in its attempt to take Damascus. Moslem divisions had been one cause for the success of the First Crusade. Now the Kurdish Saladin built a strong Moslem state which enveloped the Latin kingdom on its land frontiers. In 1187 in a memorable and decisive battle at Hattin the European forces were cut to pieces. Jerusalem and most of the Crusaders' centres soon fell to the triumphant Islam. It was to retrieve these losses that the Third Crusade was launched (1189). Three armies set out, led respectively by the Holy Roman Emperor Frederick Barbarossa, one of the most eminent of that long line, the scheming King Philip Augustus of France, and the adventurous King Richard, "the lion-hearted," of England. The Emperor came to his death in Asia Minor, the kings of England and France quarrelled, and the recapture of Acre was the chief tangible achievement of the costly expedition. The dream of retaking the Holy Places would not be quieted, and in 1202 the Fourth Crusade set forth, stimulated by Pope Innocent III, whose tenure of that high office, as we are to see, marked the apex of the medieval Papacy. It was aimed at Egypt, where was Saladin's chief strength, for crushing him was believed to be a strategic prerequisite to the retaking and holding of Palestine. The Crusaders were dependent upon Venice for ships. Venetian influence turned the expedition to Constantinople. Venice had extensive commercial interests in the Eastern Mediterranean, wished an Eastern Emperor who would be compliant to its wishes, and supported a candidate for the post. The Crusaders stormed Constantinople (1204), plundered it, divided the Eastern Empire's possessions, and placed one of their number, Count Baldwin of Flanders, on the imperial throne. Venice was given large possessions, chiefly islands which were important for her commerce. A Latin Patriarch of Constantinople was appointed. For the moment it seemed that the long cherished Papal ambition had been realized and that the Eastern and Western wings of the Catholic Church had been united under the undisputed rule of the Bishop of Rome. The Crusading conquest of Constantinople was a major disaster for the Christian cause in the East. The Byzantine Empire, already enfeebled, was dealt a blow from which it never really recovered and which contributed to the weakness that ultimately (1453) put Constantinople into the hands of the Moslem Ottoman Turks. Except where overwhelming Latin military power compelled it to do so, the Greek Church did not submit to Rome but continued under its own Patriarch. The Greek masses loathed the Latins and the rift between the two wings of the Catholic Church was widened and deepened. The Byzantine Empire continued with headquarters at Nicsa, the city in Asia not far from Constantinople famous in the history of the councils of the Church. In 1261 it retook Constantinople and the Latin slate came to an ignominious end. Of the rest of the Crusades we need say very little. 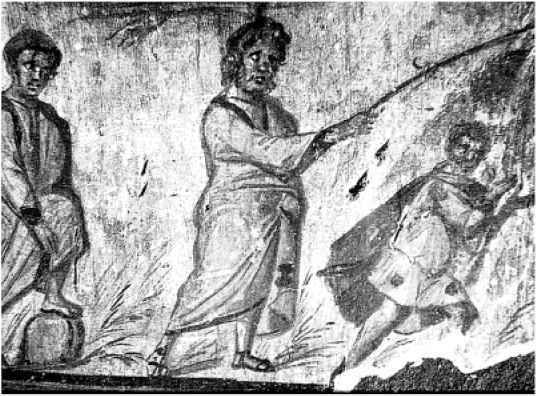 The distressful Children's Crusade of 1212 was the fruit of emotional appeals, chiefly notable as a vivid example of one phase of the religious temper of Western Europe of the day. Many of the youths who responded to it ended in slavery in Egypt, The sceptical Holy Roman Emperor Frederick II, whose stormy relations with the Papacy are one of the complicated sets of episodes of the Middle Ages, through negotiations and a treaty with Egypt obtained possession (1229) of Jerusalem, Bethlehem, Nazareth, and the roadstead of Jaffa and was crowned King of Jerusalem. In 1244 Jerusalem once more fell to the Moslems and was not again to be in "Christian" hands until the twentieth century. Tunis in 1270, where he had gone on his way to Palestine in the hope of baptizing the local ruler. Prince Edward, later King Edward I of England, took over the leadership, went to Palestine, stormed Nazareth, but did not capture Jerusalem. In 1291 Acre was lost and with it the last of the Crusaders' strongholds in Western Asia. Although the hope of renewing the attempt to seize Jerusalem was not surrendered for several generations, as expeditions with that objective the Crusades were over.